Budapest is an incredible city – definitely one of my top five in Europe – and to my mind, really under-appreciated. Everyone knows Budapest has great thermal baths, and some impressive architecture on either side of the Danube, but that’s about as far as it goes. In 2010 I spent a month there, and had the most fabulous time. The nightlife in particular was an eye-opener, so vibrant and exciting, especially when compared to Florence, where I was living at the time. 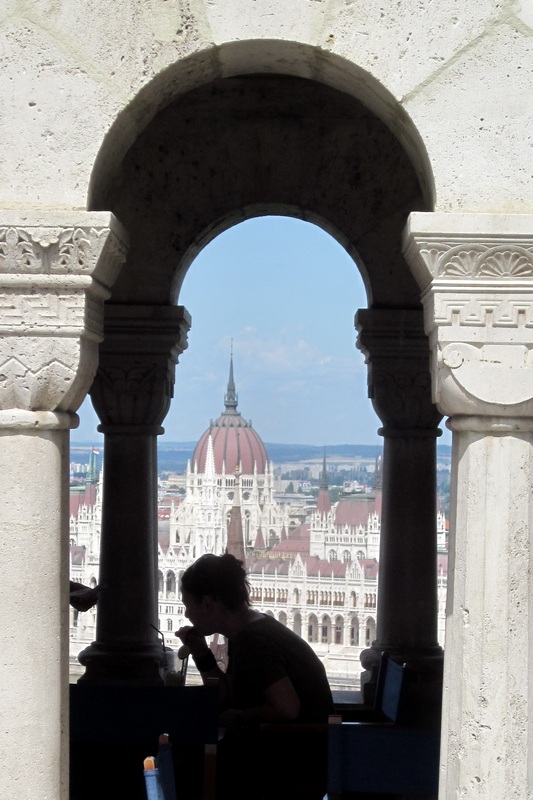 This list of my top ten includes the thermal baths of course, but there is so much more to Budapest. I hope you make it your next city-break destination! When visiting a new city, I always tend to familiarise myself with the more famous landmarks in the city centre before venturing further afield. Andrassy Ut is the famous world heritage boulevard leading from the river up towards Heroes Square, a huge plaza edged on one side by an impressive monument, behind which is Varosliget Park. The castle there is a crazy combination of five of the most popular building styles in Budapest: gothic, Romanesque, renaissance etc, which was built for the last Millennium celebrations in 1890 something. It was very pretty but the lake which usually surrounds it was dry so it was a little uglier than usual! 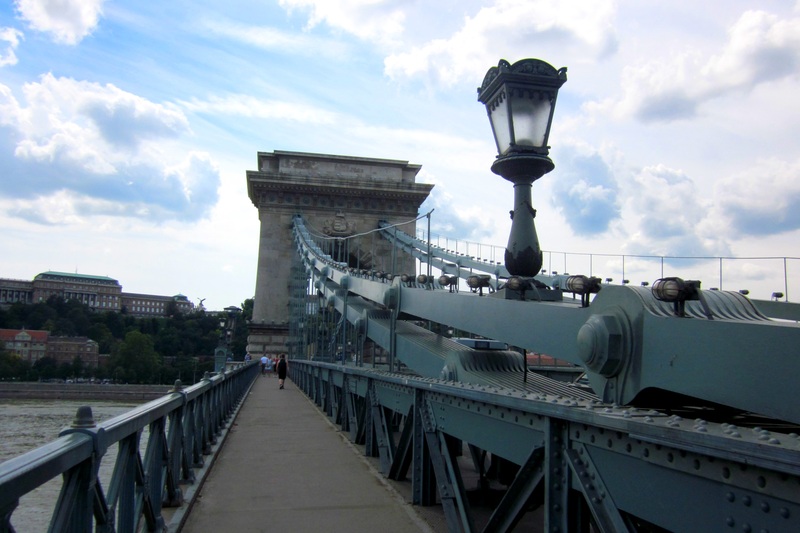 Later that day I walked down towards the Danube, crossing over the famous chain bridge (which looked nothing like a chain, it was huge! ), and taking the funicular up to the castle in Buda. It was quite expensive and only took about 45 seconds, so not really worth it, but the old wooden carriages were cool! At the top I wandered around the castle area for a while, along to the Fisherman’s Bastion, which offers the best view down over the Parliament Building and the city. Then I found a nice café called (if I remember right!) Café Miro, and had a beer whilst reading my book. It was a stunning summer’s day and just sitting and watching the crowds of tourists with a cold beer was a perfect way to spend a couple of hours. Main tourist sites and overview of the city done – next stop was the nightlife! I was there for a summer course and one of my fellow students was from Budapest, and since I arrived a week early, we met up for a drink my first night in the city. He took me to the old Jewish quarter, and to Szimpla. I was a bit taken aback by the area when we arrived, and there didn’t really seem to be any bars around, but then you enter an unassuming door, and suddenly inside opens up a courtyard or whole building which has been occupied by a trendy bar decorated with vintage industrial and flea market furniture, the walls adorned with the work of local artists and with the pipes from the old apartments still jutting out into the open air. 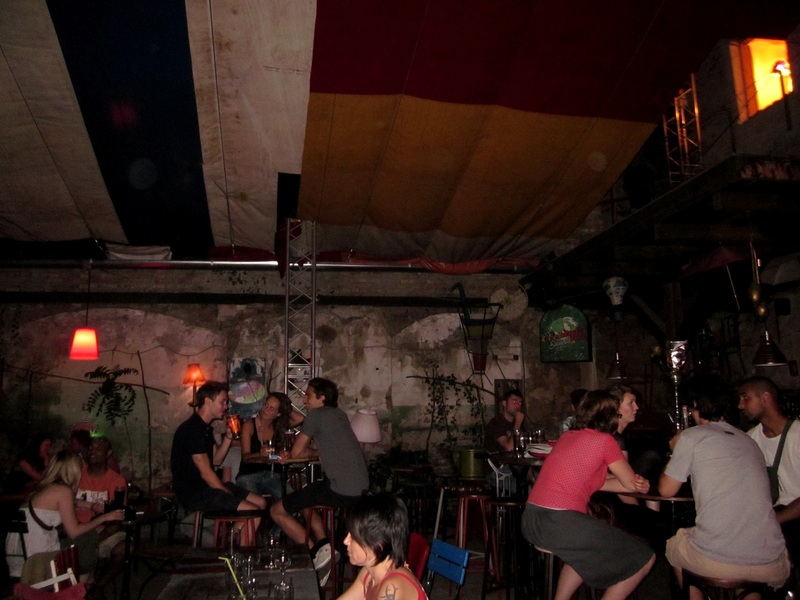 This was a ‘ruin bar’, so called because they pop up in the ruins of apartment buildings and shops. People simply move into abandoned buildings and open bars there, and stay until the building is developed – it’s unofficial, but they’re also somehow allowed to be there. Sometimes they stay awhile (Szimpla opened in 2001), and sometimes they disappear as fast as they appeared if the neighbours have protested too much. They’re all a bit warehouse-club décor, Szimpla has mismatched furniture, random art on the walls, an old school telephone handset as a doorhandle on the ladies loo, and a hollowed out Cadillac with table and chairs in, and a Mini Cooper sawed in half with seats in! In the evenings we took in many more of the cool bars in Budapest – Instant, Mamoush, Szoda, and Corvinteto was another favourite – a bar on the roof terrace of a shopping mall, accessed by a rickety old lift. Great views of the city, so perfect for a sundown drink but also fantastic til the wee small hours, with particularly good electronic music. 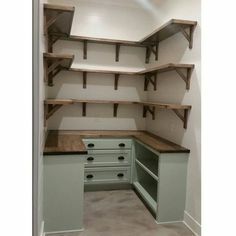 I spent several long nights there dancing like a mad thing. These bars are popular – you will find other tourists and people speaking English will be rife, but you will also find Hungarians en masse, drawn by the relaxed nature and edge of these bars. They are the centre of the city’s vibrant nightlife, and even if it takes you a while to find one, you must go. On that first night after we’d had a few beers my friend David introduced me to Unicum. It is the national drink (they’re proud of it because apparently it is so horrible nobody else will drink it! ), a herbal brandy a bit like Jagermeister, but way more disgusting! First sip was horrendous! 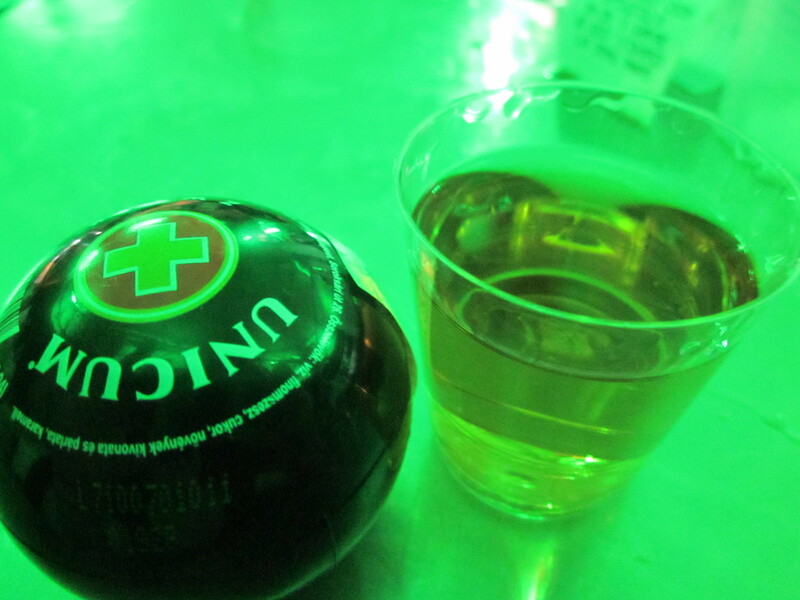 By the end of my stay I could manage a shot of it okay (but you sip, not down it, thus prolonging the agony). You must try it, simply because your Hungarian hosts will insist, but I would suggest your liver could do without regular doses. Another friend in Budapest, an old work colleague, took me to Margit Island on Friday evening. Holdudvar Margit Island is in the centre of the river Danube, and is a huge park, essentially the playground of Budapest! Hot summer evenings see half the city descend on the island to stroll, gossip and eventually end up in the bars. Holdudvar was our bar of choice, and it seemed of quite a few other people. My friend Orsi and her sister Dora got quite excited a couple of times at Hungarian celebrities, one of whom was the leader of the new trendy political party at the time. I can’t promise you famous people, but I can promise you a lovely night out. This is also the place to come for a run, if you’re a keen runner, as you can circle the whole island with park on one side, river on the other, and the scenery is lovely, but when I went it was July and far too hot for a pale British girl to think about running! 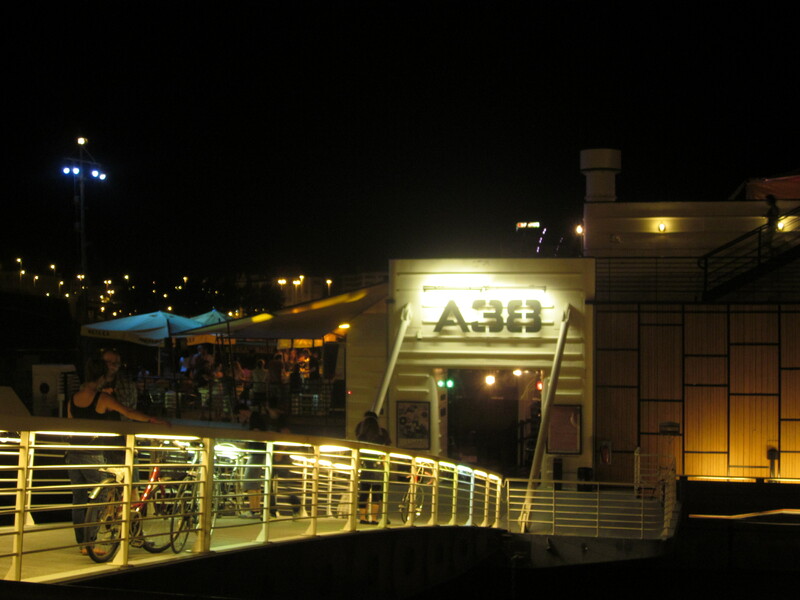 Many nights were spent partying actually on the river, in A38, a club and restaurant on an old Ukrainian tanker moored on the Buda side of the river. 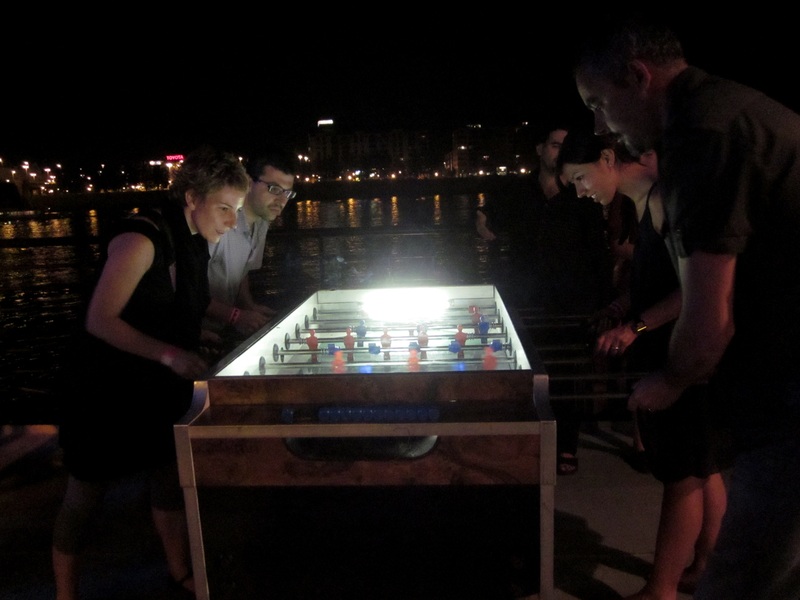 To the joy of many of my fellow classmates, there were several table-football (foosball/babyfoot, take your pick!) tables so we were a frequent fixture there after the sun went down, lounging on the deck and drinking local beers, and they hosted some great club nights too. Daedalus was a highlight for me. He’s an American electro DJ with a crazy little box of buttons that he uses as sound effects, and a brilliant light show, who dresses as a Victorian dandy in baby blue tailcoat and has the best sideburns ever! 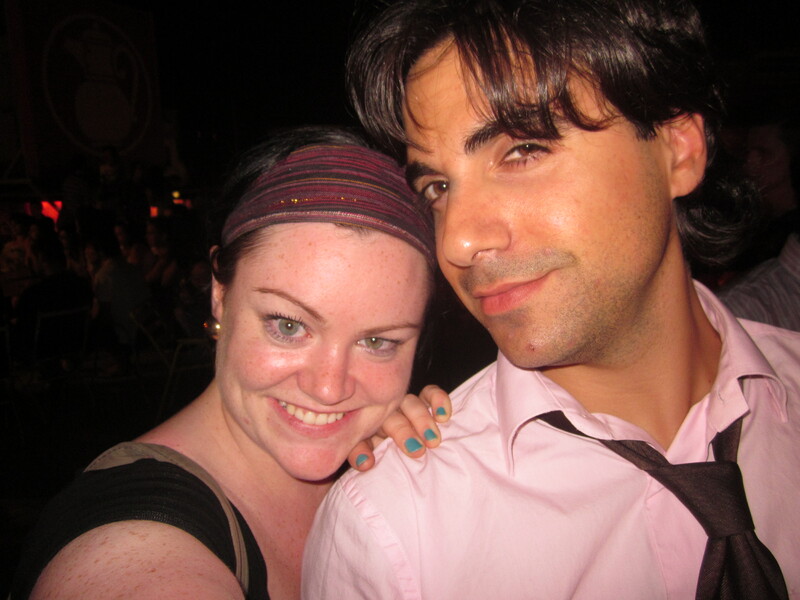 We danced pretty madly that night. A38 also has a really classy restaurant on one of the lower decks, but with glass walls to either side giving beautiful views on the river. 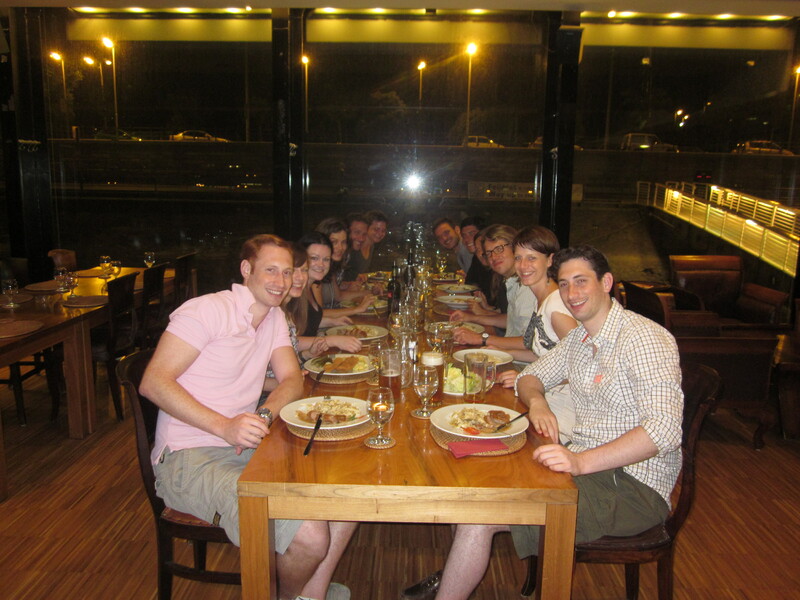 I got all my various groups of friends in the city together one night for a big meal there, and the food was not only fantastic, but great value, and given that we took over half the restaurant, the atmosphere was pretty great too. 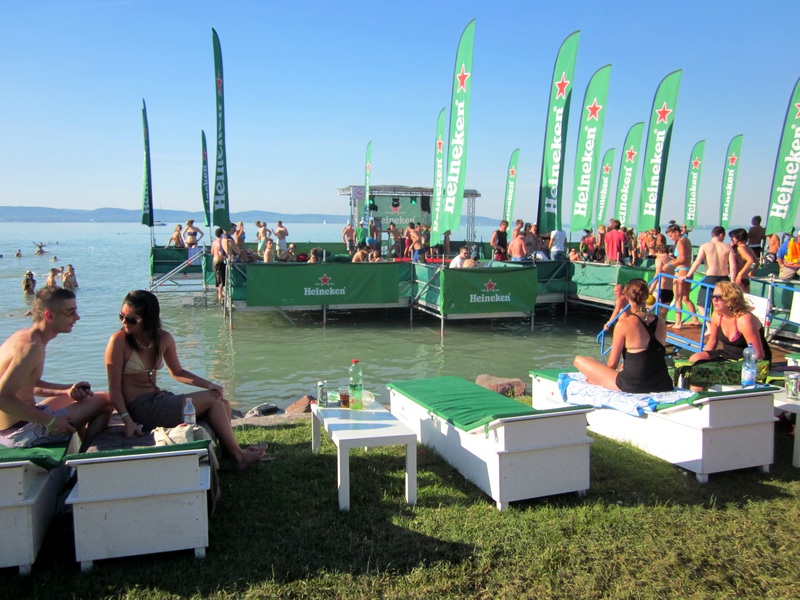 Another highlight of my stay was the Balaton Sound festival which David and I went to on the shores of Lake Balaton, Hungary’s ‘seaside’ where everyone from Budapest spends their summers. We skipped afternoon classes and caught a train to the lake, where we quickly got into our swim stuff and went in, it’s huge and beautiful, and also very shallow for a long way at the edges, which makes it great for swimming. It was such a cool atmosphere – bars and people in bikinis dancing all along the shore and also on jetties over the lake, with live DJs playing in the evening sun. 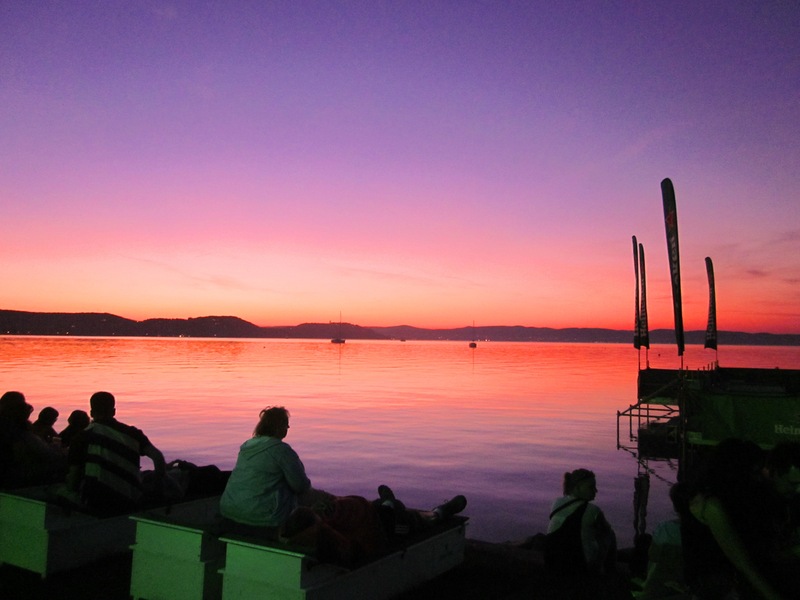 When we dragged ourselves away from sunbathing, we went to see some music and later watched the sunset over the lake which was stunning, the lights from the other side glowing in the distance. You can also hire a boat and sleep on the Lake at night, which is very cool! We talked for ages about anything and everything as the sun went down, then when the giant mosquitos got too much, we went and danced like mad things to the Chemical Brothers, who were amazing as ever. After the Chemicals we hotfooted it to Chromeo, who were playing in a tiny tent, about 4 feet from us, which was amazing! 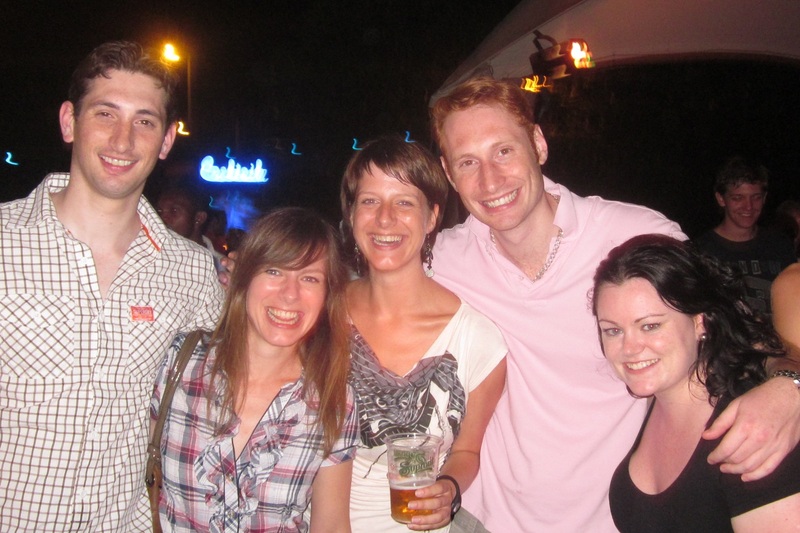 They’re hardly known here, so I was delighted David is also a fan, and it seems so were a lot of other Hungarians! They were fantastic as expected, and we left on a high. We had another beer or two and a really nice curry, before wandering back through the resort to the train station, to get the first train home. Arrived back at 6am and went straight to bed, not getting up until 4pm the next day! Brilliant night, wish I could have camped and stayed for the whole festival. One day I will come back, or perhaps go to Sziget, the festival held on the island in the Danube island in August, which attracts headliners of the ilk of Glastonbury etc. Or not. 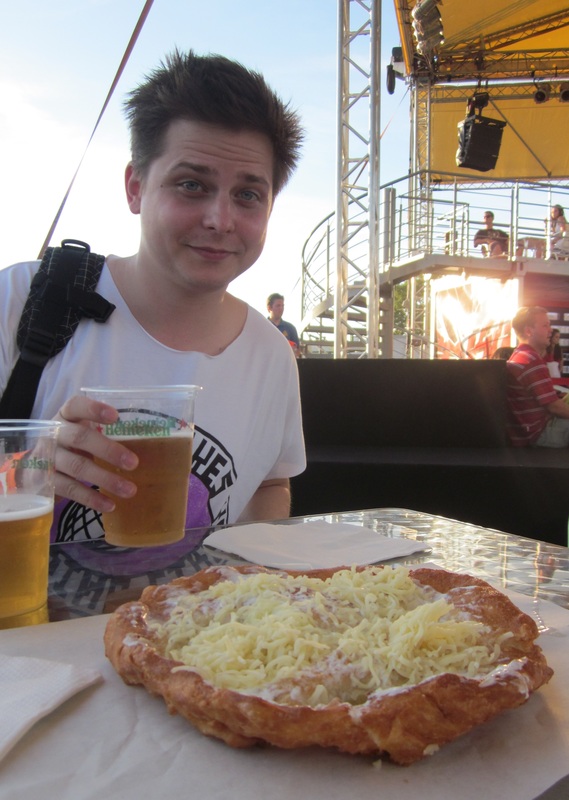 This is something I tried at Balaton, a Hungarian seaside speciality, which is basically deep fried dough with sour cream and grated cheese – disgusting, but I was pretty hungry and it goes okay with beer! 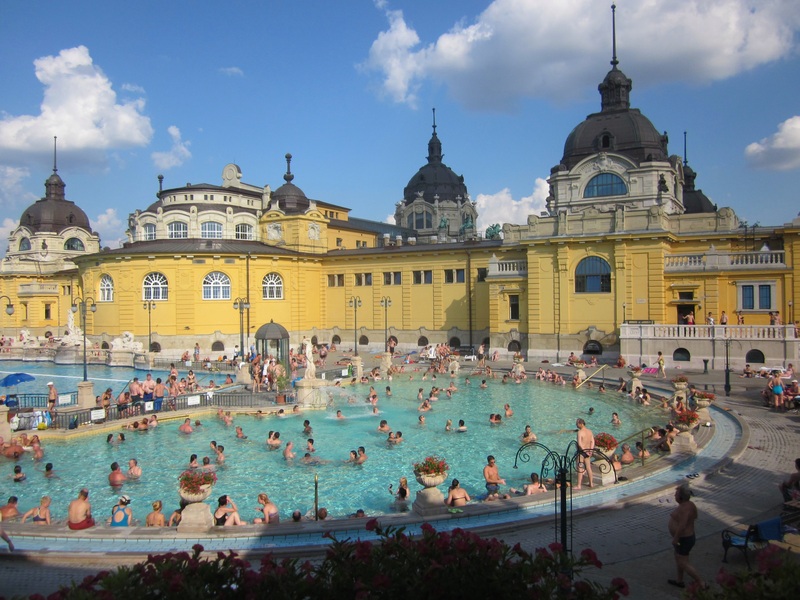 The thing for which Budapest is most famous, and which we made full use of in our month there, is the thermal baths. 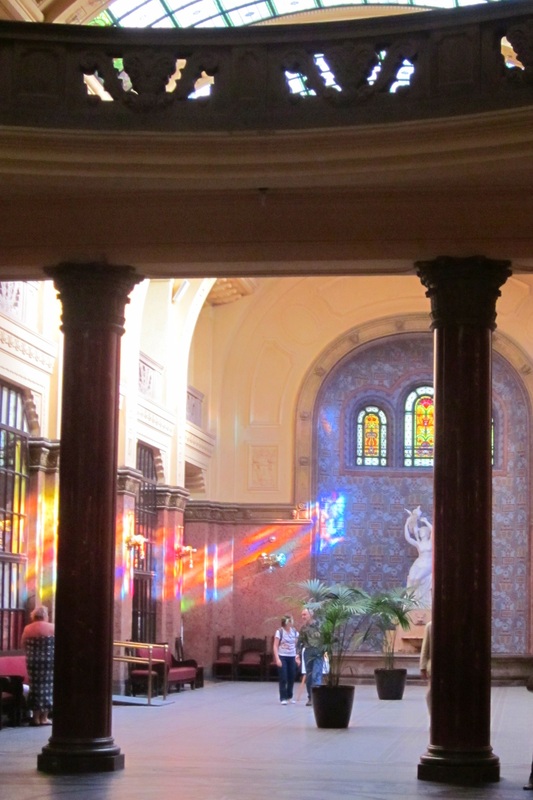 I went to the most famous, the Gellert baths, which are inside the Gellert hotel on the Buda side of the river. The main pool was stunning, but the baths themselves were pretty standard, attractive, nice, but a bit dull! 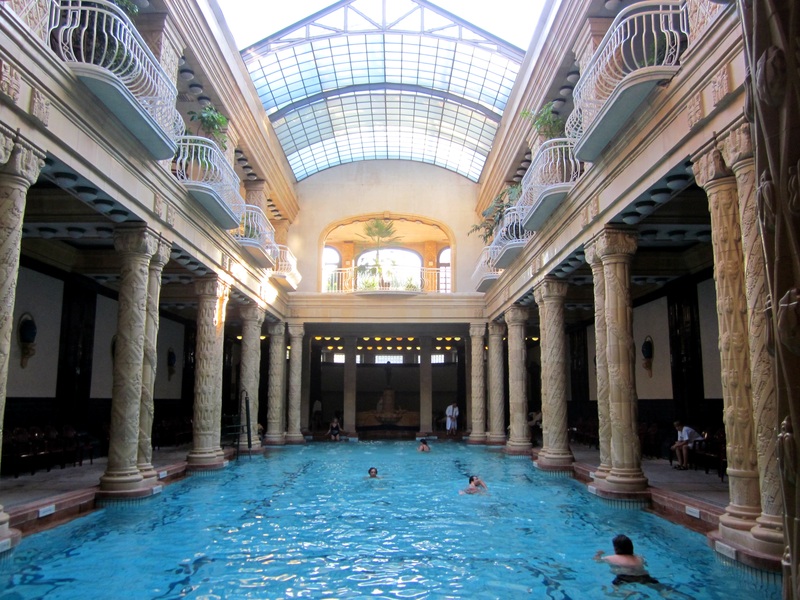 You can get plenty of spa treatments though, which are pricey, but if you come for the baths I suspect you would make use of them, and they would make Gellert far more worthwhile, especially if you were staying there. 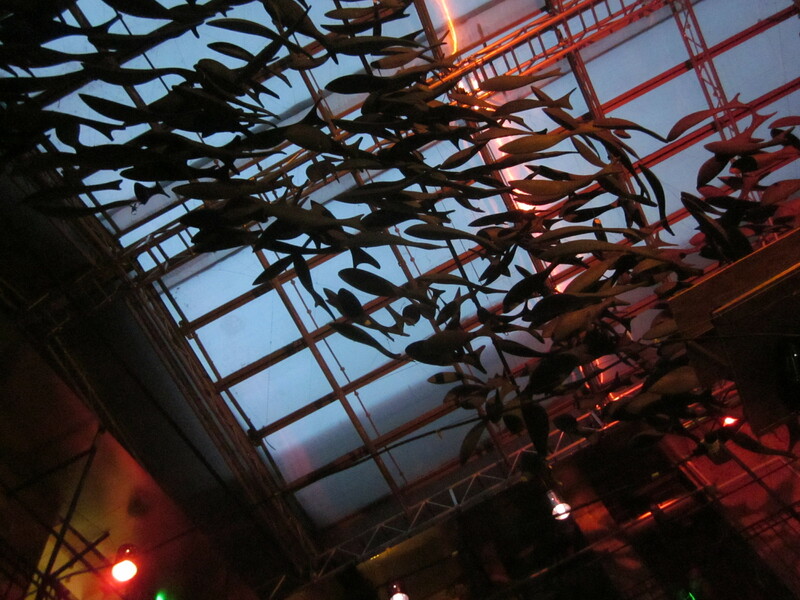 My favourite though was Szeycheni. A huge complex of interconnecting rooms with pools of different temperatures and shapes and sizes, about thirty in all, surrounding a huge courtyard with two large pools, around which hundreds of people gather to sunbathe. It was really quite stunning. They also have huge parties in the baths, where live DJs and amazing visuals and performance artists turn the baths into clubs, with everyone in bikinis. Yet again, the Budapest nightlife proved beyond anything I’d experienced before in other cities. 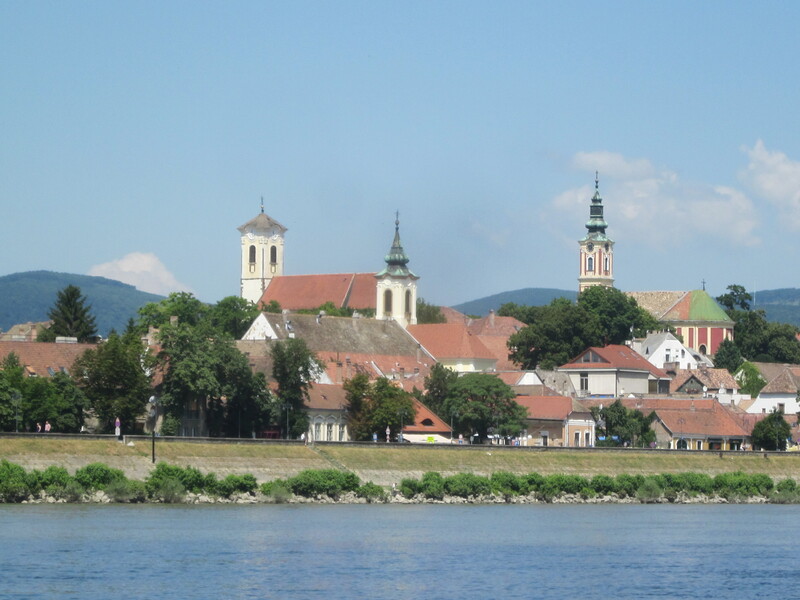 If, by some miracle, you tire of what Budapest has to offer, you should take a trip to Szentendre, a village down the Danube. We took a boat there, which was a very pleasant couple of hours, although very hot in July. 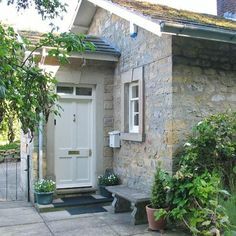 It was very pretty, and architecturally totally different, as it was settled by Serbs and the Ottomans, so all the houses are small and brightly coloured, around cobbled maze-like streets. It was ridiculously touristy though, and it was so hot that after a little wander and some lunch, we took the train back to Budapest to seek solace in Corvinteto’s rooftop breezes. I cannot recommend Budapest highly enough. 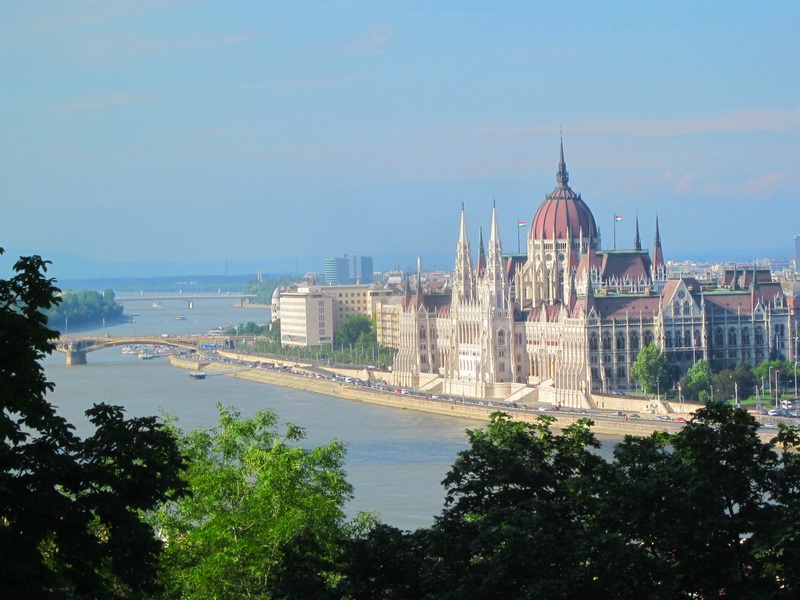 Although my top 10 is heavy on the nightlife, there is also a huge amount of culture to explore, and on top of that, and probably the main reason for visiting, is that Hungarians are incredibly hospitable and friendly. Even in the face of my frankly poor attempts to learn the language, they were encouraging and appreciative, though I think they realise that Hungarian is quite a difficult language to learn, so even basic attempts meet with great approval. From my perspective, any language with 21 cases and where the noun changes dependent on the preposition, is far too complicated for me! « Valentine’s Day Steak at MASH and the Book of Mormon! Thanks for the tour of Budapest and sharing some great photos. 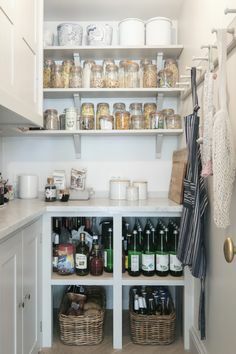 I regret I have not been there, but I have had their drink unicum, which I really liked, but as you say, in small doses. 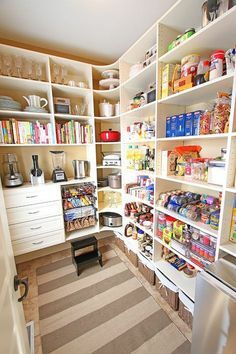 This is a beautiful place! Thanks for the tour, Anna! Really nice photos! 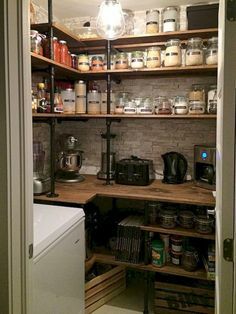 Thanks so much for the visual treat! I’m really enjoying these top ten things, I learn something new about places I’ve been, and places I’m yet to see. 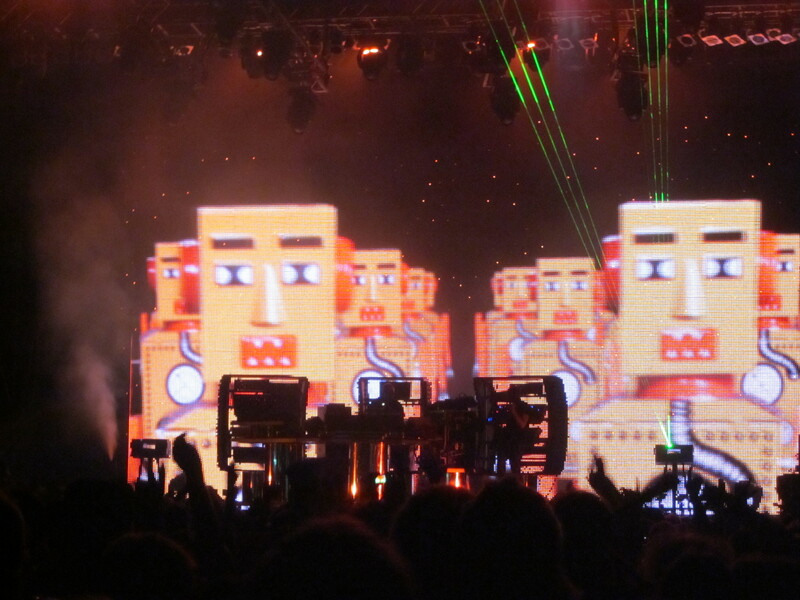 And now I know there are such good music festivals, I don’t know why I haven’t gone sooner. 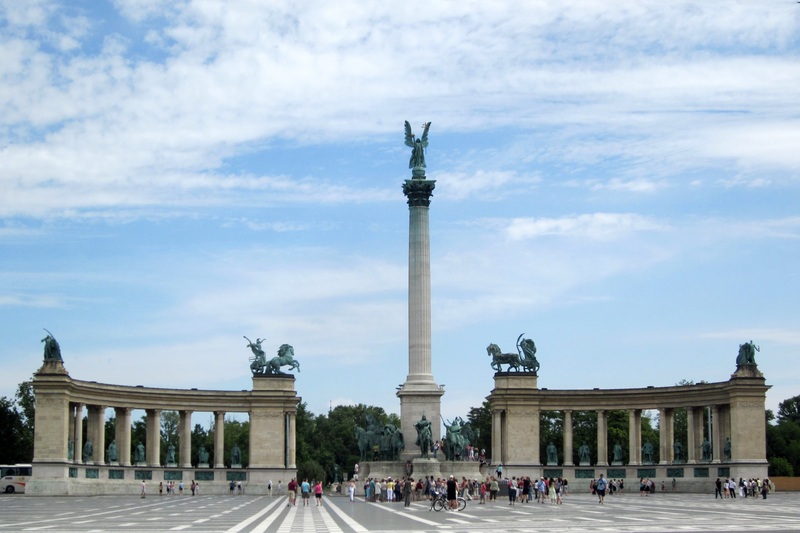 Thanks for the link Sherry, sounds like you had a wonderful time in Budapest! And it’s great to see a photo of the castle with the lake – when I was there it had been drained for some works! I love the little paddle cars!